It’s nice to see good things get better. And when you know you like something, it’s great to get more. But that’s rarely how things work with headphones. Audio manufacturers move from one line of products to the next, rarely with a linear-release. But sometimes there are exceptions. 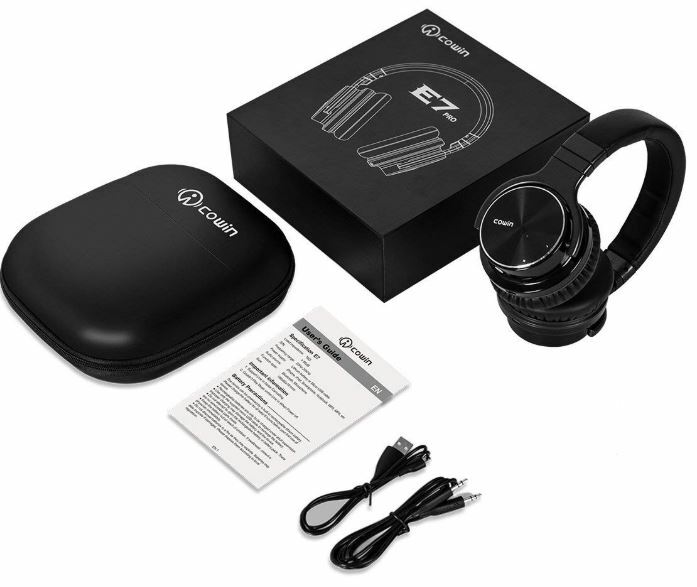 The E7 were COWIN’s most popular headphones. Although they had flaws, they were generally loved by fans. And COWIN seemed to take many of those valid criticisms to heart. 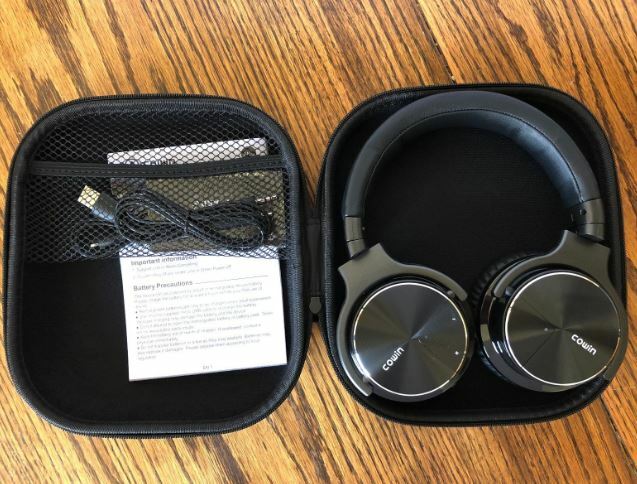 Their latest creation, the E7 Pro 2018 Upgraded Active Noise Cancelling Headphones, are improved on everything people didn’t like about the E7. In doing so, they’ve mostly made a good thing better. Compared to the old E7, the COWIN 2018 E7 Pro has a better battery, more comfortable padding, higher quality sound, and even a stronger microphone. The redesign is so through that the product is almost something entirely new, but it’s largely a continuation of what people already liked about the E7. From the outside, the sleek metallic exterior of its ear-cups gives off a high end aesthetic, and transmits important information about the E7’s quality. They’re fairly compact for over-ear headphones, measuring 6.5 x 3.6 x 7.1-inches, and weighing just short of a pound. The COWIN E7 Pro are constructed with large 45mm drivers, slightly larger than the 40mm formerly used by the E7. Those drivers are also slightly above average size, aimed at providing increased tonal clarity, especially with respect to bass response. Another thing that you can tell simply by looking at them is they’re constructed around a closed, over-ear design. This prevents sound from escaping into your environment and bothering others, and it’s necessary for ANC technology. The COWIN E7 Pro 2018 edition is available in black, red, and white. The black is a fairly professional standard look; the white is closer to a silver. The red option takes the most chances of the three, resulting in a loud visual aesthetic you’ll either love or hate. 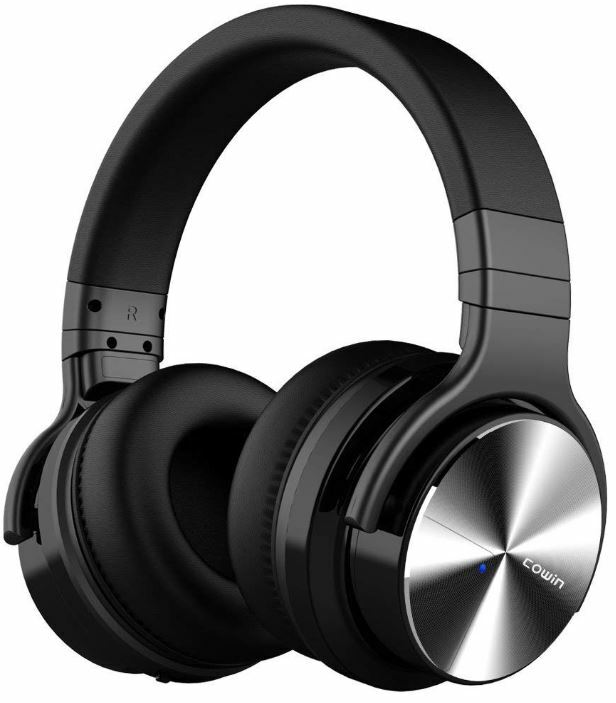 The COWIN E7 Pro include slightly thicker ear cushions for improved comfort. 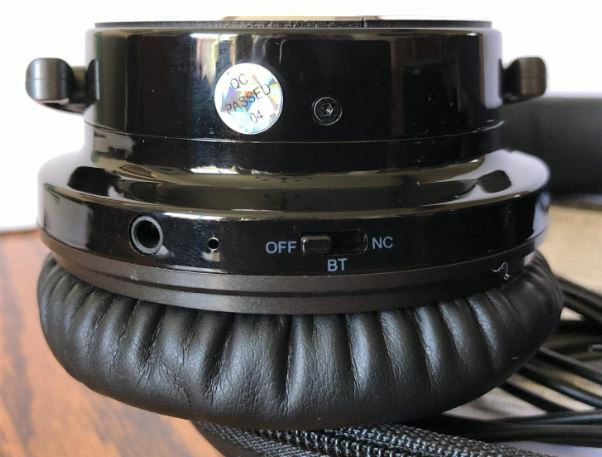 As with the original E7, the ear pads provide 90-degree swiveling to help accommodate different users and various head sizes. Another key difference is how the smooth velour surface now better allows for the dissipation of heat, and for cleaning the pads. As with the original E7, this design is made to be worn all day long. These differences aren’t night and day, and are scarcely visible unless you’re holding the E7 and E7 Pro in profile against each-other. But the slight difference in padding has a cumulative effect, and gives more of a runway for your losses as the padding naturally deteriorates over time with use. That deterioration can be made as slow as possible with regular cleaning, which is again facilitated by the smoothness of these new pads. While the E7 was beloved for its sound quality, it was well-known to have an underwhelming microphone. Thankfully, the COWIN E7 PRO 2018 Upgraded edition has a much better microphone. It’s still a single microphone as opposed to a multiple-mic setup, but it’s a far more component microphone than was previously used. Another key difference is how the COWIN E7 Pro has added NFC technology for quick Bluetooth pairing. It’s more of a boon for people who are connecting to several different devices at numerous locations, but it’s nevertheless a small convenience for anyone who uses Bluetooth. At the core of their design, the E7 uses a fairly powerful 800mAh battery, expected to survive through 30 hours of use. This is yet another area where the E7 Pro has been upgraded for 2018. And that’s about 25% larger than the battery used to be in the previous version of the COWIN E7. 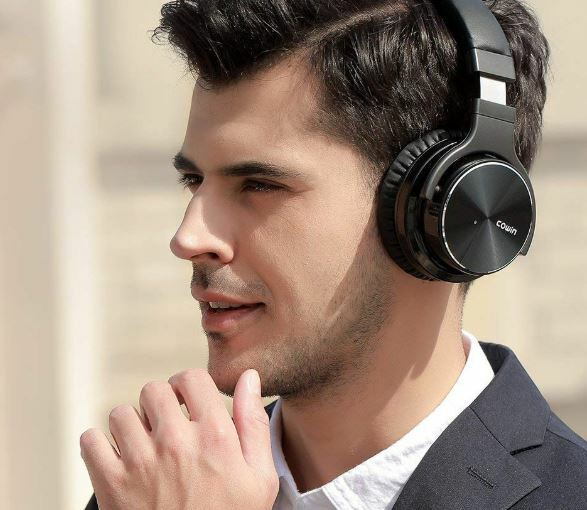 But there are always a number of variables that go into battery performance, and that’s especially true when it comes to active noise cancelling headphones. ANC is a battery-hungry feature; it may often compose one third of your battery consumption. As a result, if you’re listening to louder music and taking advantage of ANC, you may find the Cowin E7 Pro ends up offering closer to 23-hours of battery life. Due to the larger size of the battery recharging is also somewhat longer. It takes about four hours to recharge from an empty battery. Although 23-hours isn’t quite as high as the 30-hour estimate Cowin provides, it’s actually a more impressive number than many people may realize. Especially relative to the size of the COWIN E7 Pro battery. Yet it’s worth mentioning, one way COWIN managed to achieve that lengthy battery life was by limiting the maximum volume output of the E7 Pro. The E7 Pro are capable of playing music that’s about as loud as an idle bulldozer. It can get fairly loud, and loud enough to cause permanent hearing damage if you cranked them to their maximum setting for the entire day. The fact the E7 Pro cannot reach even higher volumes shouldn’t be a source of despair, but it is something worth noting. 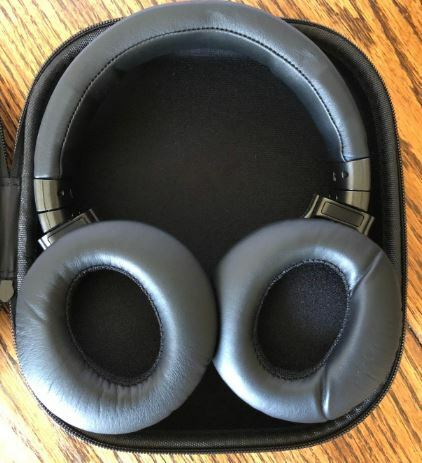 Interestingly enough, there are fairly substantive differences between the active noise cancelling technology used by different brands of headphone manufacturers. The differences may include the total amount of noise that’s removed, but there are also experiential differences in how tones are affected in differently. Effective ANC without playing music is fairly difficult. And essentially any brand that offers ANC as a side-feature tends to provide ANC with lower levels of strength. The Cowin E7 Pro is roughly one step below the best ANC, and one step above the most mediocre performing options. Their ANC is of appreciable power, and you’re glad it’s around anytime you’re dealing with traffic noise, air conditioning machines, and so forth. Additionally, the over-ear design also provides some small degree of noise isolation, roughly 7dB, which helps to keep your sound isolated. But COWIN ANC has its weaknesses. It tends to skip-out if you make any rapid motions. For sitting mobile, you won’t have an issue. But if you stand up suddenly, then you’ll notice the ANC stutter for a moment. In contrast to that, one thing to that’s easy appreciate about the E7 Pro ANC is it’s operational for both wired or wireless mode. To cut things short, the COWIN E7 PRO have high-average sound quality. It’s the accumulation of a variety of design decisions. The most important among them, the E7 Pro’s over-ear build, the slightly larger 45mm drivers, and the support of ANC. These factors combined allow the E7 Pro to provide sound that’s much stronger than most portable headphones can offer. Over-ear design provides more space for drivers to manipulate sound. The larger drivers make it easier to provide an effective soundstage, widening the abilities of dynamic drivers to work their best, and particularly bolstering tonal clarity. And another thing to note. The E7 Pro’s soundstage uses bass that’s somewhat boosted. You may or may not like a little extra bass, depending on your taste. Though people who don’t necessarily like boosted bass may appreciate its use on the E7 due to the richness and clarity of the mids and highs. Without having been slightly boosted, the bass may have sounded weak by contrast. Over-ear headphones are the largest type of headphones you’ll find outside of a cockpit. 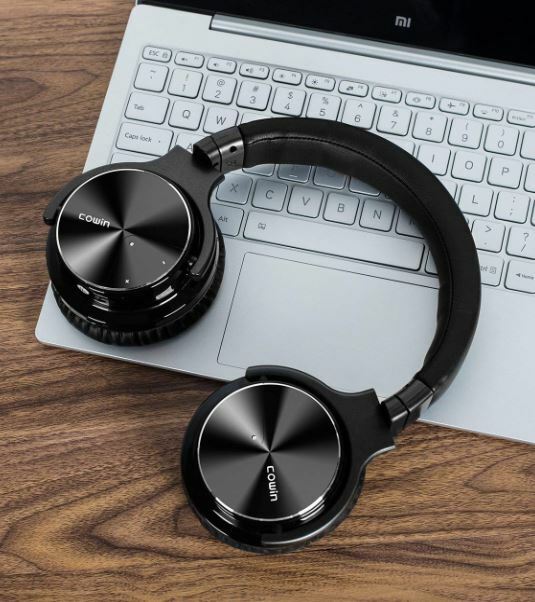 That makes the Cowin E7 Pro Active Noise Canceling Headphones somewhat less portable than nearly all other types of Bluetooth headphones. The somewhat stationary nature of these headphones is further implied by their ability to make a wired connection through an AUX cable. 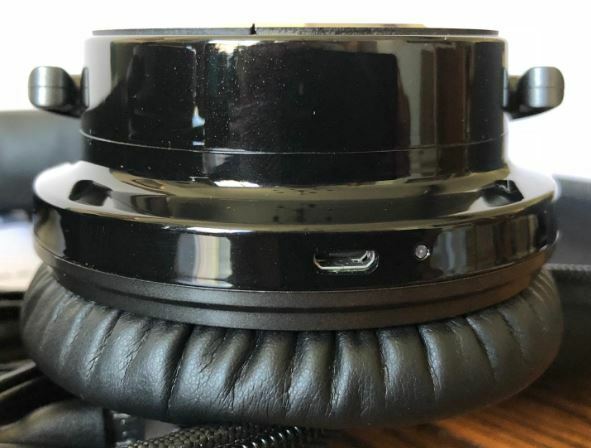 Of course, headphones of any variety are ultimately fairly small, and the E7 Pro’s included carrying case helps keep them in one piece as you move from place to place. As long as you don’t plan on taking the E7 Pro out jogging with you, then relative sacrifices in portability are well worth gains in sound quality. Portable can mean so many things. The COWIN E7 are portable in the sense that they’re fairly compact, and wires aren’t necessary for operation. But over-ear headphones are also the largest type, and with an emphasis on comfort, these headphones use fairly large padding. Moreover, the thick layer of padding ensures the E7 headband is rigid instead of foldable. There’s one thing all these changes have made worse about the E7 – its weight. Although the difference is only a fraction of a single pound, E7 Pro Active Noise Cancelling Headphones is slightly weightier than their older counterpart. While increases in weight are generally unwelcome, the difference is small enough that people who were not bothered by the somewhat near one-pound weight of the original will not be disturbed by the change.
. The E7 Pro come shipped inside a zip-tie case for storage. They include a 3-foot aux cable you can use to switch to wired listening, as well as a USB charging cable to charge the E7. There’s also a quick start guide, but it’s not useful unless you’ve never used Bluetooth before. And COWIN includes an 18-month warranty for their E7 Pro Active Noise Cancelling Headphones. 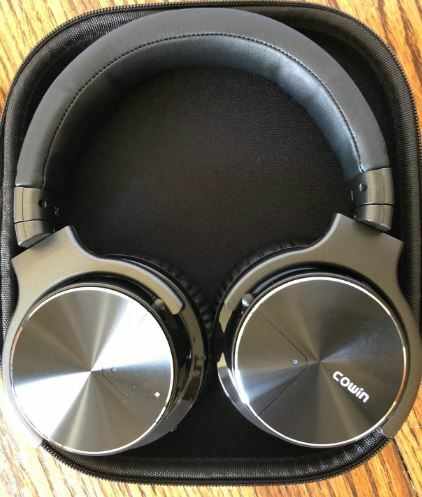 Who Should Choose COWIN E7 Pro [2018 Upgraded] ANC Headphones? If you liked the E7 before, you’ll love the E7 Pro 2018 Upgraded edition. It has far better balanced sound, especially in rich bass tones. It’s more comfortable, just as adjustable, and has a far better microphone. And the slightly larger battery life adds some value to what was already a fairly strong pair of headphones. Clearly, they’re not the right headphones for jogging at the beach, or taking 100% of your business calls at a busy airport terminal. Although they’ve got the portability to be used essentially anywhere, ultimately, they’re built for immersive audio more than portability. These headphones are about delivering an enjoyable audio experience, period. That’s why the E7 are a good choice for someone who’s interested in sound quality an affordable price. Hi I hope that the stability of the Bluetooth is improved. Because the stability of the e7 Bluetooth is hopeless poor very quickly disconnecting and connecting again. I had a very cheap headset from china with a much more stable Bluetooth connection. So lets hope that the e7 PRO will keep the connection without interruptions. Yes I tried it out on different Bluetooth devices and it held the connection wile I was walking around and the sound is great. I still do not understand that they got it so wrong with the e7 they must never have the stability checked out before trowing it on the market.